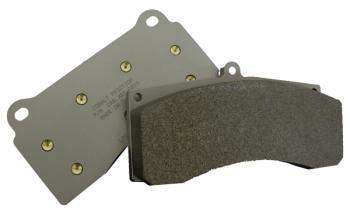 Cobalt Friction Brake Pads - XR3 - Dezod Motorsports Inc - Home of the automotive performance enthusiast since 2002. Cobalt Friction XR3 Brake Pads is a highly versatile medium-high torque compound with very good cold performance and high fade resistance. Excellent modulation and wear characteristics make the XR3 the perfect choice for the majority of medium & lower inertia applications with limited brake hardware options. For higher-energy platforms utilizing XR1 or XR2 on the front axle, the XR3 is an excellent rear axle choice to maintain proper brake balance. The XR3 material is particularly well-suited for spec-Miata racing in the front axle. Sports Racer – SCCA ASR, CSR, DSR, etc.